23 Aug It’s not us, it’s you. 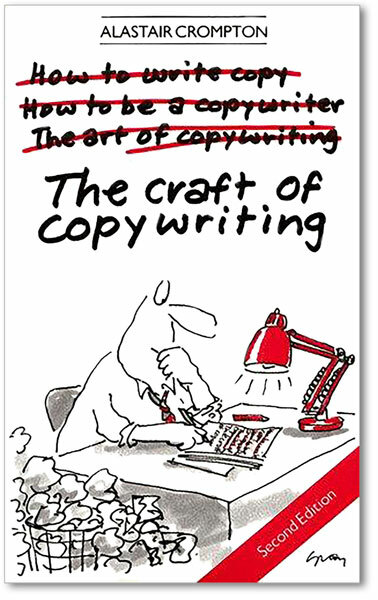 One of the best primers on the craft of copywriting is the book of the same name by Alistair Crompton. A classic by virtue of its age as much as its content, it‘s a must-read for anyone interested in communicating effectively. A typically simple, straight to the point piece of advice designed to avoid navel gazing and shift the focus of your copy onto those who’ll be reading it. And yet, one so often ignored in B2B comms. OK, your new 20,000sq ft production facility is impressive. I’m pleased you strive to maintain ever higher standards of sustainability in your supply chain. And I’m sure your state of the art CAD design suite is as cutting edge as they come. But until you can explain why that’s good news for me, it doesn’t really move me any closer to getting it touch. It’s a simple fix; for every one mention of ‘we’ the company, make sure you include three mentions of ‘you’, the customer. Suddenly, I can see what’s in it for me. And you know what? You sound like quite a nice bunch of people to work with as well. A couple of years ago, we were being told B2B is dead and B2P was the silver bullet of business communication. But until brands stop talking solely about themselves, all they’re going to do with it is shoot themselves in the foot.